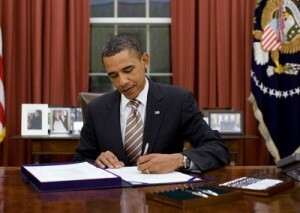 On Monday night, President Barack Obama signed a bill extended the Undetectable Firearms Act another decade. On Monday the Senate passed a bill that would renew the 25-year-old Undetectable Firearms Act, but did not include additional restrictions that focused on plastic firearms made with 3D printers. According to NBC News, President Barrack Obama signed the bill into law later that day. With the expiration of the so-called Undetectable Firearms Act (UFA) rapidly approaching on December 9th, misinformation over this issue and NRA’s position on it has unfortunately reached a heightened level. We would like to make our position clear. The NRA strongly opposes ANY expansion of the Undetectable Firearms Act, including applying the UFA to magazines, gun parts, or the development of new technologies. The NRA has been working for months to thwart expansion of the UFA by Senator Chuck Schumer and others. We will continue to aggressively fight any expansion of the UFA or any other proposal that would infringe on our Second Amendment rights. Unlike the Schumer proposal, the vote today in the U.S. House of Representatives on H.R. 3626, sponsored by Rep. Howard Coble, is a simple 10-year reauthorization — NOT an expansion — of current law. Other than extending the sunset date, H.R. 3626 makes no changes whatsoever to the underlying act. Some groups have been circulating misinformation in order to create confusion over today’s House vote. To be clear, Rep. Coble’s bill DOES NOT expand current law in any way, as Sen. Schumer’s proposal would do. Again, the NRA strongly opposes any expansion of the Undetectable Firearms Act. By simply reauthorizing current law, however, H.R. 3626 does not expand the UFA in any way. Should a veteran’s inability to handle his financial affairs, absent anything else, deprive him of his Second Amendment rights? Each time this issue has come before Congress, Democrats have said yes. Republicans and the National Rifle Association say no. The issue became a monkey wrench last week during debate on a $631 billion defense bill. The Veterans Affairs Department routinely adds the names of vets who require assistance to handle their financial affairs to the National Instant Criminal Background Check System, thereby denying them the right to purchase or own a firearm, according to an Associated Press report. The US House passed H.R. 3626, an extension of the Undetectable Firearms Act, on Tuesday, sending the bill to the Senate. 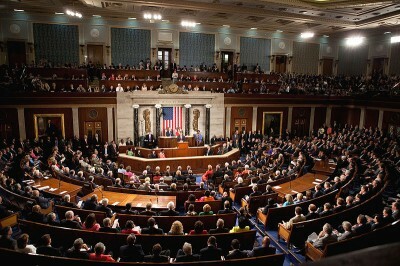 The US House of Representatives voted on Tuesday to renew the Undetectable Firearms Act for another 10 years. The Act, which went into effect in 1988, bans any firearm that cannot be identified by metal detectors or airport imaging technology. With the approval of the House, the extension (H.R. 3626) will now go to the Senate for consideration. Come 2014, all ammunition sold to civilian gun-owners in America will have to be imported, a result of President Obama’s crackdown on sulfur dioxide and lead emissions and accompanying harsh Environmental Protection Agency regulations, said former Florida congressman, Lt. Col. Allen West. And for defenders of the Second Amendment, that means higher ammo prices are likely on the way — a situation Mr. West writes on his blog, AllenBWest.com, is akin to a federal power-grab on guns, albeit through the backdoor. Plans to mandate liability coverage for U.S. gun owners after last year’s school shooting in Connecticut have languished as opponents attack the proposals by comparing them to President Barack Obama’s health overhaul. Lawmakers in Illinois voted down by a margin of more than 2-to-1 a measure that would have required $1 million of insurance. Similar proposals were excluded from gun-control bills that passed in California and Connecticut. Maryland State Senator Jamie Raskin, a Democrat, said he withdrew his firearms-liability bill because of a lack of support. You may recall that in the debate over a new gun bill earlier this year, the major issue was whether to expand the FBI background check system to cover private sales. Proponents of expanded checks (Bloomberg, et al) argued that background checks helped prevent “straw sales,” thus keeping guns out of the wrong hands; opponents of the measure (NRA) said that there was no reason to further restrict law-abiding citizens from exercising their constitutional rights to own guns. Now the Supreme Court has decided to hear a straw sales case concerning a transaction that took place in Virginia where a former state trooper, Bruce Abramski, was convicted of committing a straw sale purchase because he bought a gun for his uncle but stated on the background check form (ATF Form 4473) that the gun was for himself. Abramski argued that there was nothing illegal about the sale because his uncle was, in fact, legally able to buy a gun. Therefore, since the intent of the statute and the background check was to keep guns from getting into the wrong hands, the defendant’s transfer of the gun to his uncle didn’t violate the law at all. Gun control lives. The justices have repeatedly declined to take up gun-rights appeals over the last three years. The practical effect of this non-action is that the Supremes have let stand lower-court rulings preserving various restrictions on civilian gun ownership. 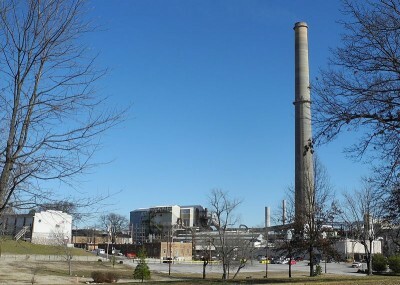 By the end of this year the last primary lead smelter in the United States will be closing. According to a press release by the National Rifle Association’s Institute for Legislative Action (NRA-ILA), the Doe Run facility in Herculaneum, Missouri plans on closing its doors in December. The smelter has existed in the same location for the past 121 years and is currently the only facility of its kind that can produce lead bullion from raw ore. Other smaller, secondary smelters only have the capability of retrieving lead from used items such as ammunition or batteries. Obamacare contains provisions that jeopardize gun ownership, especially for veterans. What does gun control have to do with health care? As odd as it seems, Obamacare contains provisions that jeopardize gun ownership, especially for veterans. Anti-gun provisions were added to initial drafts of Obamacare legislation under the pretext of prohibiting people with mental illness – which can include PTSD – from owning guns. Fortunately, the NRA stepped in and got some of the worst language revised last December. Senate amendment 3276, Sec. 2716, part c. prohibits the creation of a firearms database and stops doctors from disclosing or collecting information relating to a patient’s firearms. Ironically, this provision was probably the only positive result of most members of Congress not bothering to read the bill before voting on it. California Gov. Jerry Brown split the difference Friday on the pile of gun-control bills sitting on his desk, opting to sign five but veto seven, including a bill that would have banned the sale of many popular hunting rifles. That measure, Senate Bill 374, was seen by gun-rights advocates as the worst of the bills passed this year by the Democrat-controlled state legislature, but California hunters didn’t dodge every bullet. Click here for full story.